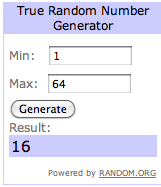 My Messy Manger: Define Design 11 Giveaway Winner! Define Design 11 Giveaway Winner! Julie said...I really like the Personalized I Heart LOVE My Hometown California State USA. Congratulations Julie! Contact me at mymessymanger@gmail.com to claim your prize! You have one week to contact me or an alternate winner will be chosen.